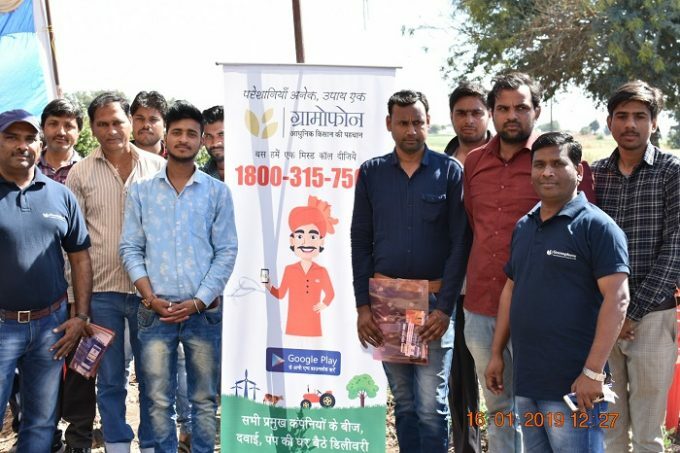 Ujjain: An agriculture-based startup in Indore, Gramophone organized its ‘Field Day’ at Harsodan, Ujjain, on the Ujjain-Maksi Road, where farmers, with the assistance from Gramophone, demonstrated the encouraging results. Farmer Deepak Patidar from Village Harsodan, District Ujjain presented the yield of 120+ bags (50 kgs in a bag) of onions by following the suggested methods and practices suggested by Gramophone, whereas earlier the yield was 100 bags, in the same size of the field through their traditional methods. These onion bulbs were bigger and of better quality, compared to the bulbs cultivated with the normal practice. Gramophone, founded by IIT and IIM graduates, Tauseef Khan, Nishant Mahatre, Harshit Gupta and Ashish Rajan Singh, started its operations in 2016 and it currently helps almost 1.5 lakh farmers in the central and western region of Madhya Pradesh. The startup aims to provide the best package and practices to the farmers that will give higher yields. Gramophone believes that all farmers should be digitally equipped with mobile-based solutions that can give them access to the best quality seeds, crop protection, nutrition products and methodologies to improve crop yields. Gramophone usually provides assistance to the farmers via its toll-free helpline number, where people can contact them by just giving a missed call, and where farmers get solutions to all farming-related problems and challenges faced by them. The startup has introduced its Gramophone Android App and missed call helpline number, and received more than 2 lakh calls from farmers related to farming issues. Anyone who wishes to experience the services provided by Gramophone can simply give a missed call to (1800 315 7566) toll-free number or download the Gramophone App through this link here.